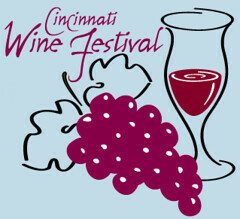 It’s that time of year again – tickets to the Cincinnati International Wine Festival have gone on sale! If you think about it, these would make a great stocking stuffer. 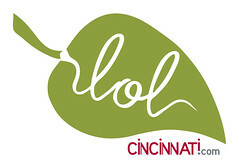 The 2010 wine festival takes place March 11 – 13, including the various dinners and tastings. As usual, we’ll prep you and offer our own festival survival tips the week before the festival. The Honorary Chair for the 2010 event, which also happens to be the 20th anniversary, is Michael Mondavi. Michael is the Founder of Folio Fine Wine Partners, an importer and producer of wines from the world’s premiere and emerging wine regions. Yes, his dad is none other than Robert Mondavi, so the wine industry runs in his blood. In 2004 (which is when Mondavi was sold to Constellation), Michael started Folio with his wife and children. The Wine Festival will be holding a special Winery Dinner, honoring Michael, on Wednesday, March 10th. You can purchase tickets online – our wine festival has grabbed the enviable URL of www.winefestival.com and hung onto it for several years. You can buy regular tickets or include admission to the Special Tasting Room. For several years I’ve had mixed emotions about the Special Tasting Room: I really enjoyed visiting it last year, and the wine is definitely high-end and special. But I hate that this wine is now held back from everyone who doesn’t want to shell out an extra $35. Is it worth it? Well, yeah. It definitely is, but I’m not a fan of the 1-hour time limit. So buy your tickets, tell all your friends, and join us at the Grand Tastings! Enjoy high end wines for one hour prior to the Grand Tastings. Each ticket will be an additonal charge of $35 for 7 tastes.